Electric Vehicle Charging - Empire Electric Inc.
Congratulations on making the switch to electric vehicles and doing your part to help the environment. Electric vehicles have noticeably reduced the greenhouse gas emissions in 36 states, including Florida (http://berc.berkeley.edu/is-the-electric-car-really-helping-the-environment/). If you are thinking of buying an electric car, one of the things you should consider is where you will go to charge it. When you move into a new home, you make a mental note of where the nearest gas station is to your home, but that is not an issue when you buy an electric car, since you can charge the car at home, in much the same way that you charge your cell phone. Instead, you have to find electricians for Electric Vehicle Charging stations to keep your environmentally friendly new ride zooming along. Jacksonville, Florida may have a reputation for being a city of gas guzzlers, but luckily there are some electricians for charging stations here. 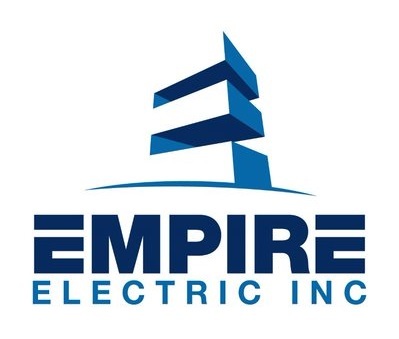 Empire Electric is more than just your friendly neighborhood electrician for fixing electrical problems in your home, although we certainly do that with aplomb. 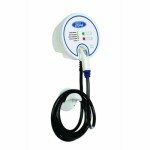 We can install circuits for electric vehicle chargers and charging stations. We are specially certified to install chargers and electric vehicle charging stations for Tesla electric vehicles. In fact, Empire Electric is one of only a very small number of companies certified to install chargers for Tesla vehicles. 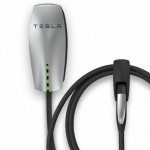 When we install a charger for your Tesla vehicle, we will carefully select a safe location for the charger. It has to be somewhere cool, dry, and well ventilated (http://www.wikihow.com/Charge-Your-Electric-Car). The “McMansion” style of architecture that was popular in Florida in the last few decades means that a lot of houses in Jacksonville have spacious, well air-conditioned garages that are suitable for installing an electric vehicle charger. 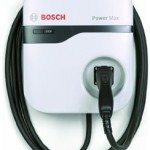 We may need to upgrade your breaker box in order for it to be able to accommodate the electric vehicle charger safely (http://www.wikihow.com/Charge-Your-Electric-Car). It can take up to 12 hours for the battery of your electric vehicle to fully recharge (http://www.wikihow.com/Charge-Your-Electric-Car), so a lot of people choose to charge their electric vehicles overnight. If you need to charge your electric car when you are not home, you will need to find a public electric vehicle charging station. Smartphone apps are available that can help you find available electric vehicle charging stations in your area (http://www.wikihow.com/Charge-Your-Electric-Car).